For our afternoon workshop session, we went to the Rochester Arts Center for a wonderful hands-on letterpress experience based on the work of H.N. Werkman. Werkman was a printer in the Dutch province of Groningen. His biography is a sad one of losing almost all of his work in a bombing raid and being executed by the Gestapo a mere three days before Groningen was liberated. His work was entirely focused on the physical shapes of letters and would be a great experience for design students in beginning typography as the images generally involve a complete disconnect to the letters as language. Another wonderful element is that in his process, the printing is completely upside-down. Participants were divided among two Vandercook No. 4 presses and a table-top Albion, and supplied with several cases of wood type to work from. Each person began by placing a sheet of paper on the bed of the press. The type would be hand-inked and simply laid carefully onto the paper and run through the press, sometimes as single letters and sometimes as a number of letterforms all at the same time. Very accurate positioning can be quite controlled. Placing and picking the letters up without any smudges was another matter. Collectively, our groups produced about 30 to 35 prints, which the Genesee Arts Center plans to bind into a single volume. While there will be examples of what each person did, this exemplifies one of the problems with the process: each print is individual and a production run would be difficult. It is worth noting that you could essentially produce the process using digital letterforms on the computer but the handrolling and subtle differences in type height between letterforms adds an handmade quality you wouldn’t get from an inkjet printer. I was completely enthralled with the process, so in early November, Lead Graffiti is offering a free workshop to twelve participants to see how it goes in our studio. 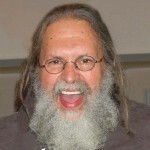 Ray Nichols was coordinator of Visual Communications at the University of Delaware from 1978 to 2005, during which he was honored by many groups including the Art Directors Club of New York, The One Club for Art & Copy, and University and College Designers Association. 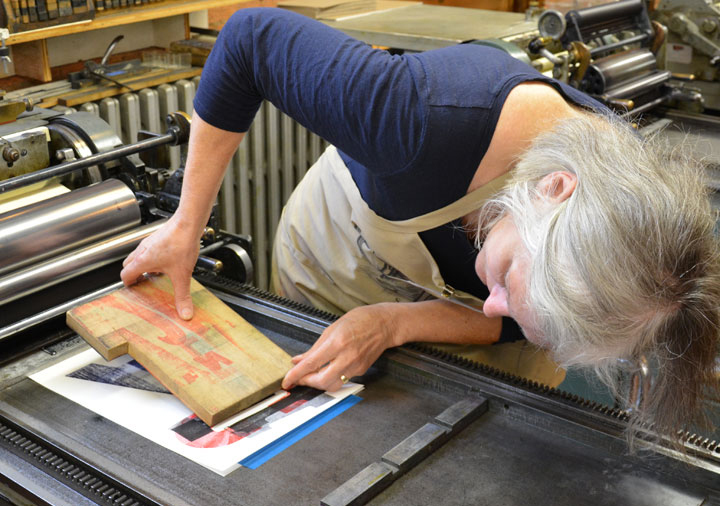 With his wife-partner Jill Cypher, Ray cofounded the letterpress studio Raven Press at the University of Delaware. Upon Ray’s 2006 retirement from teaching, he and Jill started Lead Graffiti. He was president of APHA's Chesapeake Chapter 2010-2012.